Our special food for older or overweight dogs will keep them fit, healthy and happy. 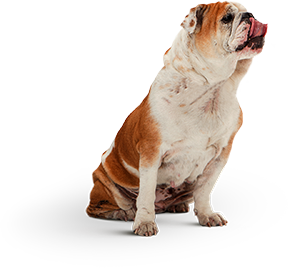 Our older and overweight range provides more support for your dog’s immune system and a diet that’s carefully blended to help them maintain a healthy, comfortable weight. We’ve worked with vets and nutritionists to create wholesome, natural ingredients that help your dog lead an active life. Rich in vitamins, minerals and natural oils, these recipes are free from artificial colours, flavours or preservatives – and because they’re lower in protein and fat, they’ll help control your dog’s weight too. 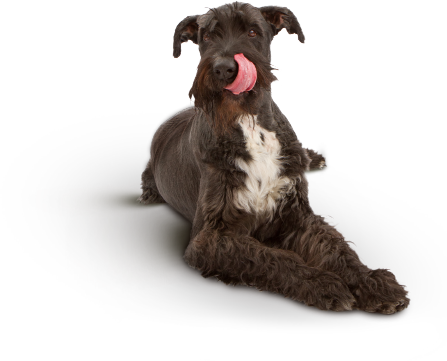 We know older dogs can sometimes have more sensitive stomachs, so each recipe’s hypo-allergenic, made with lean, single-source meat or fish and carefully blended to be easy to digest. So it won’t just taste great, it’ll help them feel great too. 100% natural goodness with 3 yummy formulas for your dog to enjoy…go on, pick their favourite! Each wet food tray is a complete and balanced meal. With 4 delicious formulas to choose from, your dog will be spoilt for choice.